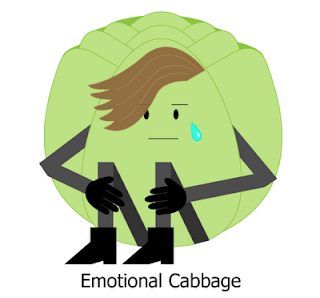 For the first half of March, Cabbage was the golden child of the food echo chamber. He could get into the most exclusive clubs, and swam daily in colcannon and corned beef and cabbage. Then it all came crashing down. After St. Patrick's Day, Mr. Cabbage was thrown to the curb in favor of Easter candy and early spring produce. To add insult to injury, the New York Times reported that "green cabbage is not one of the sexier seasonal vegetables." It's time for Cabbage to lift his head up, get out of the fetal position, and look to other cultures for full-time appreciation. P.S. Hat tip to Kale Crusader A.J. for nominating Cabbage.